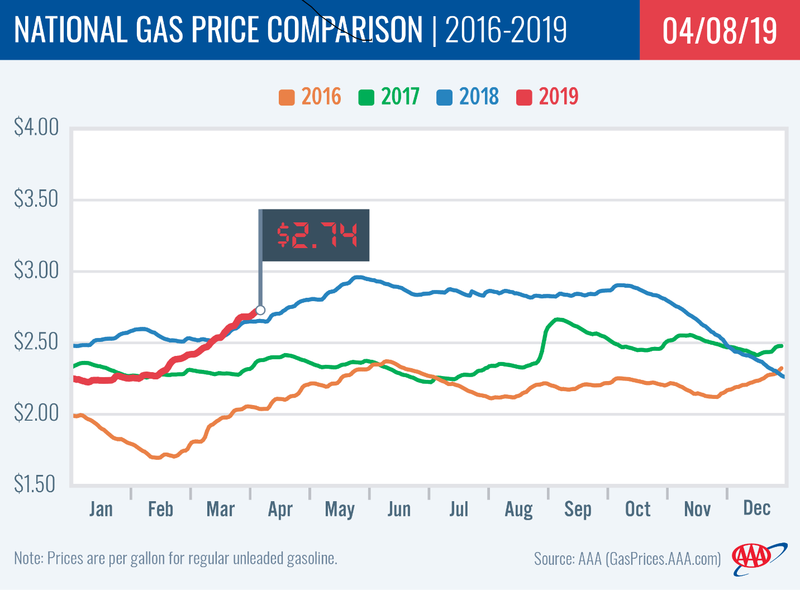 The national gas price average jumped 10 cents in just one week to reach $2.83. The average price has risen steadily since February but this latest spike propelled by increases as high as 20 cents across West coast states. 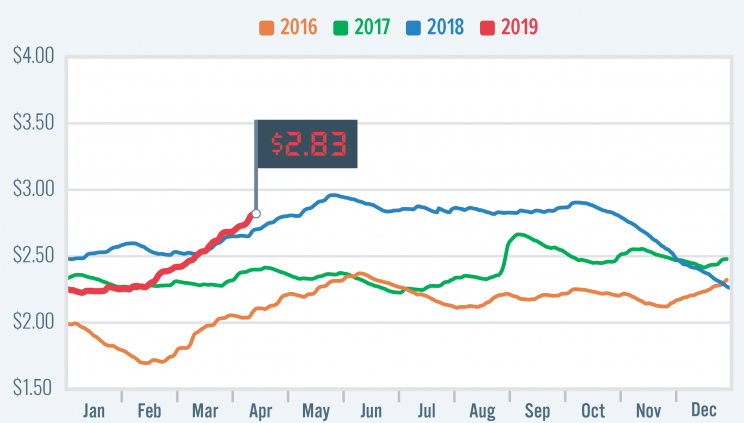 As stocks tighten out West due to unplanned and planned maintenance, California’s average jumped to $4.00, the most expensive state average this week and a price point not seen in the state since July 2014. This week’s national average is 30 cents more than last month and 12 cents more than a year ago. The television show “Game of Thrones,” based on the fantasy novels by George R.R. Martin, premieres. Article tags: AAA, aaa mobile, aaa roadside, aaa roadside assistance, book a hotel, gas, gas price, gas price average, gas prices, roadside, roadside assistance.